Acoustic blankets and sound treatment arguably aren’t as popular in podcasting as they should be. We tend to get hung up on buying and upgrading things like mics, mixers, and audio plugins. Yet the environment we record in is of prime importance for how our content sounds. Acoustic blankets are something I’ve overlooked in the past when it’s come to improving the sound quality of a room. 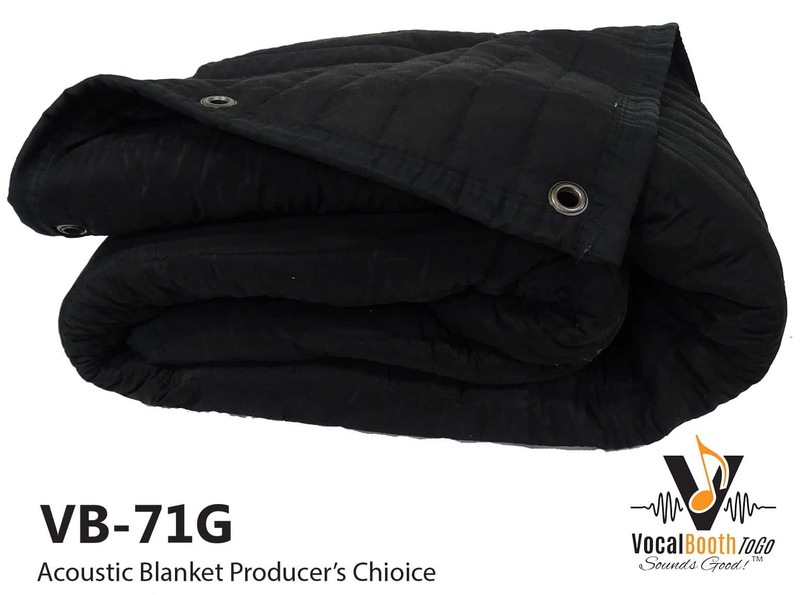 We recently got our hands on the VB71G Acoustic Blanket Producers Choice from VocalBoothToGo.com, however, and I’ve been looking forward to trying it out. First up, I wanted to clarify something that’s a source of confusion for many audio creators. An acoustic blanket is designed for sound treatment, not sound proofing. The latter is the act of blocking out unwanted external noise from the recording area. That’s something that can only really be achieved with some strong glass or thick concrete. Sound treatment means to improve the way sound sounds within the desired recording area. The main aim here is to reduce or eliminate reverb in order to record completely “clean” vocals. 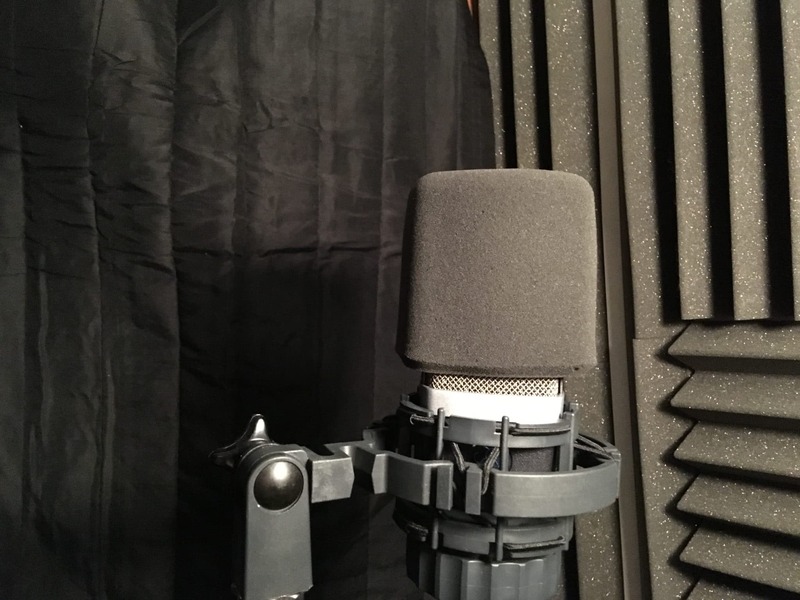 An acoustic blanket is essentially just a big piece of material you can use to prevent your voice from echoing or sounding like you’re recording in a cave. 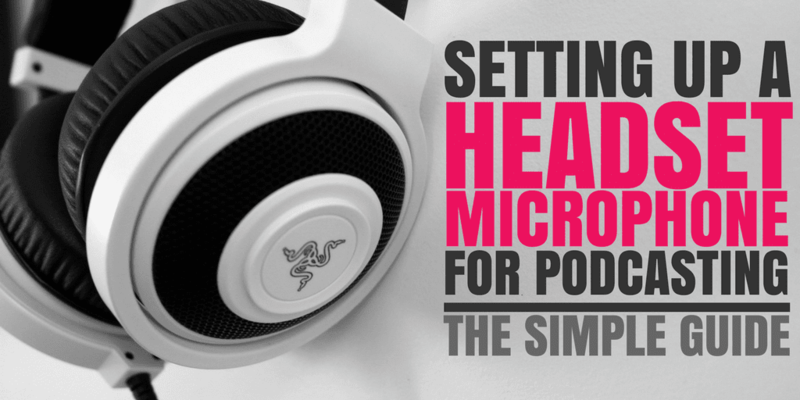 This is a simple way to drastically improve the sound quality of your podcast. The company has a plethora of different types available, but here’s the lowdown on the model I’m taking a look at. Weight – 3.8 – 4.0 kg per blanket. Ranges and prices vary slightly depending on whether you are shopping on their .com store or UK store. The concept is pretty simple. 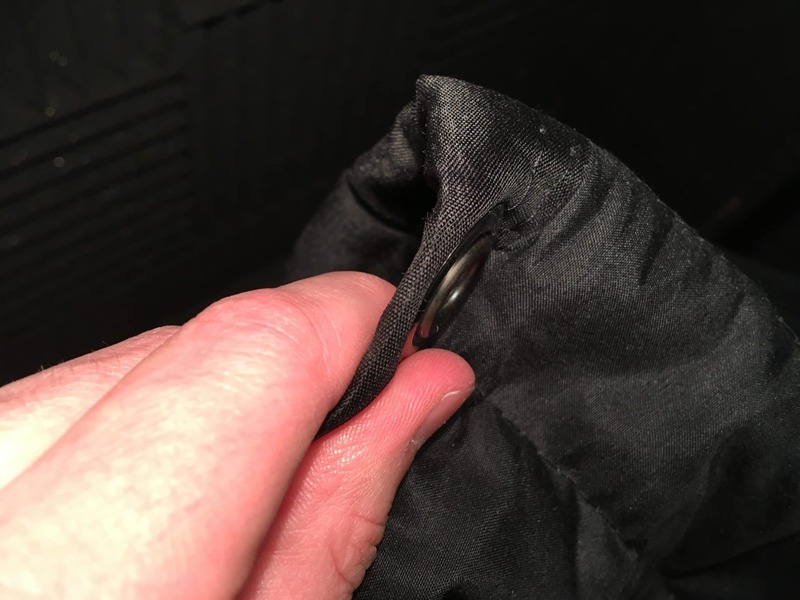 You treat an area by pinning or hanging one or more blanket up around your recording space. This is made easy with the VB715, as it has little 5 grommets along one side. 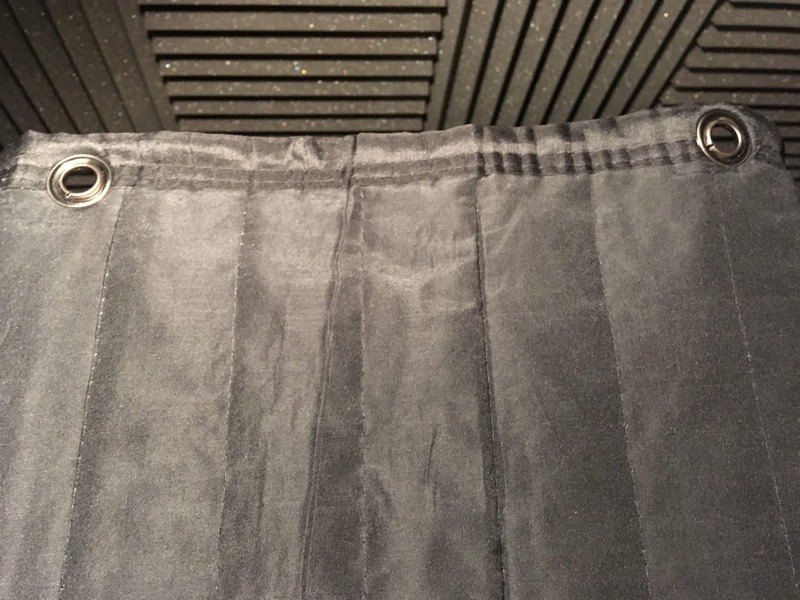 The grommets are evenly spaced and have a 1.27 cm diameter (opening). This means you can use a thin curtain pole, wire, or string to hoist the blanket up. Alternatively, you can hook it onto some screws or nails. Or you could simply hang it over a rack or railing. 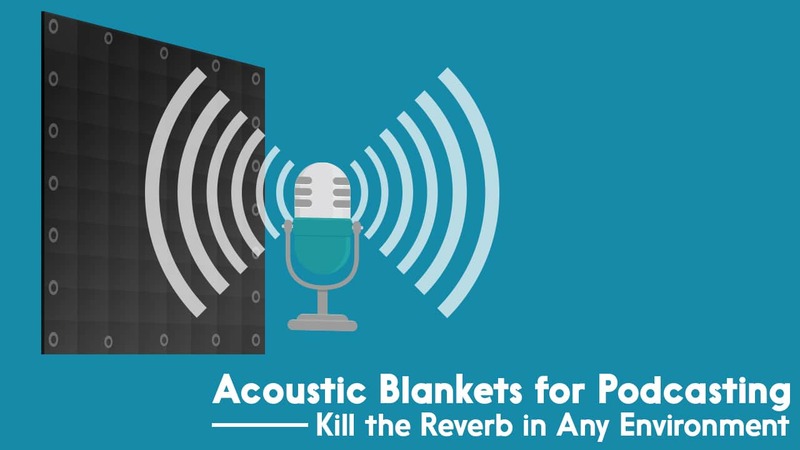 With acoustic blankets, you’re essentially just creating a temporary “studio” around your microphone. There were two different areas I was looking to test the blanket. Firstly, I have a walk-in cupboard that I’d converted into a vocal booth. The sound in it is reasonable, but it’s only treated on 3 walls and the ceiling. There’s no door on it, so the voice still leaks into the main room itself, then comes back into the booth adding some mild reverb. 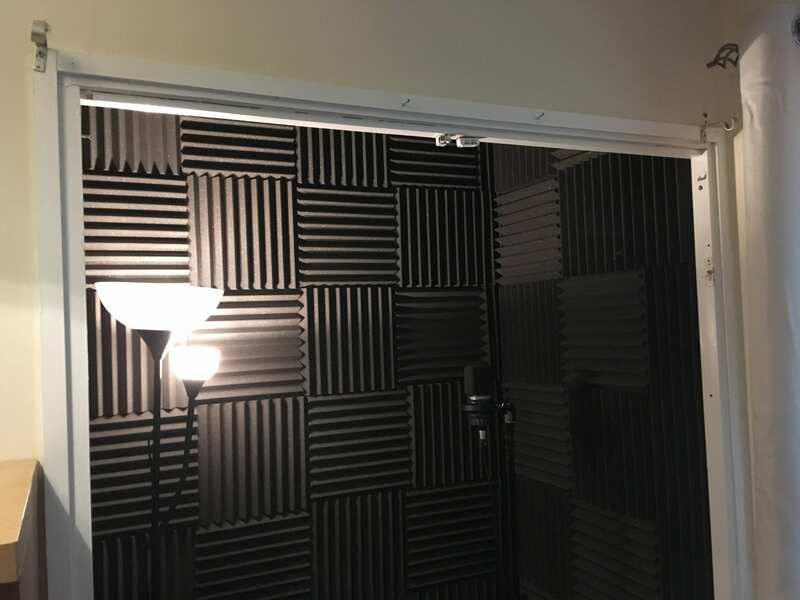 The acoustic blanket could be the final piece in the jigsaw here, so the plan was to hang it where it’ll work as the “door”, meaning the mic will be surrounded by sound treatment on every side. Secondly, I wanted to test the blanket in it’s simplest form. By draping it over something around and over the mic in a completely untreated room. Here are the sound samples from my sound tests. They were all recorded with the AKG-C214 condenser microphone and sound samples are raw without any post-processing. Listen through a decent pair of headphones if possible to hear the full scope of each clip. Acoustic blankets are a simple, cost-effective, and extremely effective way of sound treating virtually any space. Even if you literally were recording in a cave, you’d be able to drape one over you and your mic to create reverb-free conditions. If you’re struggling with any kind of echo in your own recording environment(s), then this is definitely something to consider getting your hands on. 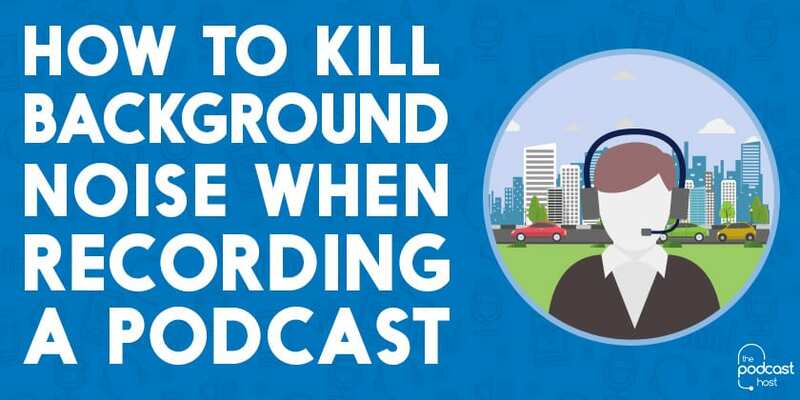 Especially if it’s not possible to create a permanent recording space for your podcast. An acoustic blanket will fold and store away easily when not in use, and it can be easily transported from place to place too. The impact that it has on your sound quality for under £30, when compared to the cost of the average microphone, is pretty incredible! Having clean, clear audio quality that’s free from reverb is a big step forward for any podcaster. There are lots of other things that go into the overall success of a show though. From planning your content, to presentation skills, there’s always plenty to learn and continually strive to improve on. If you’re looking for support and guidance on any aspect of podcasting, you’ll find it in The Podcast Host Academy. There you can work through courses, get access to checklists, ebooks, and resources, as well as direct help in our regular live Q&A sessions. It’s the one-stop-shop for planning, launching, and growing a successful podcast. NextShould I Make a Video Podcast?